Sabal Trail did all that was strictly required by FERC, so quit your whining, basically. The only new information is the list of newspapers STT used for advertising. People didn’t quit complaining, so later STT added a makeup meeting in Moultrie. Filed with FERC 2 December 2013, Sabal Trail Transmission, LLC submits its Response to Comments Seeking Open House Meeting Information for the Sabal Trail Project under Docket No. PF14-1. Maine Citizens: We were “lied” to! No 24/ 7 manned compressor stations like Spectra promised- slow response to emergency “not good enough.” Residents feared for their lives. Resident that lived near station: you are showering me with chemicals. 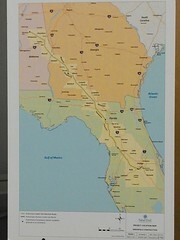 The attached comment letter from Mrs. Carol Singletary was received by FERC staff at a Sabal Trail Open House. I am requesting an opportunity to challenge with your organization claims made on the December 4″ letter submitted by Sabal Trail Transmission. If their ability to continue forward is based on these claims submitted in this document, I am requesting a moratorium on STT ability to continue to conduct business in pursuit of this objective. We the impact property owners are requesting a meeting as soon as possible to present our concerns to FERC to review what recourse is available to address these concerns. In the Bi—WeekIy Teleconference notes from December 2nd, it was stated that STT is beginning to exercise statutory rights in all three states where access has not yet been granted. Please provide exactly what are STT statutory rights specifically. How those rights will be enforced and implemented. I am also requesting what rights the property owners have and a detailed description of what and how they can be exercised. natural gas pipeline proposed to gash through here for the profit of companies far away. It’s not just a federal issue: there are things every state and local government and citizen can do to prevent this safety and property value hazard. a hundred-foot-wide gash through our lands for their huge 36 inch Sabal Trail gas pipeline from Alabama through Georgia to feed Florida Power and Light (FPL) for no benefit to local citizens. A one-time payment is nowhere near adequate for permanent destruction and hazards when FPL and Spectra would profit forever. 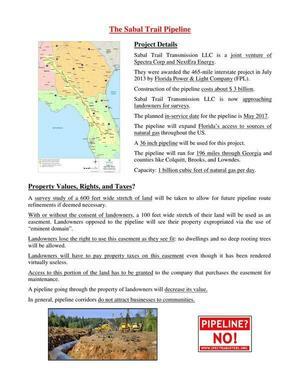 Valdosta, November 19, 2013 –Find out Saturday morning about the huge pipeline proposed to run through our area. Who benefits (not Georgia citizens). What fines have been imposed on the pipeline company. What are the potential dangers of corrosion, leaks and more. Most importantly, find out what our community can do to stop this pipeline from being built. a hundred-foot-wide gash through our lands for their huge 36 inch Sabal Trail gas pipeline from Alabama through Georgia to feed Florida Power and Light (FPL) for no benefit to local citizens. A one-time payment is nowhere near adequate for permanent destruction and hazards when FPL and Spectra would continue to profit forever. 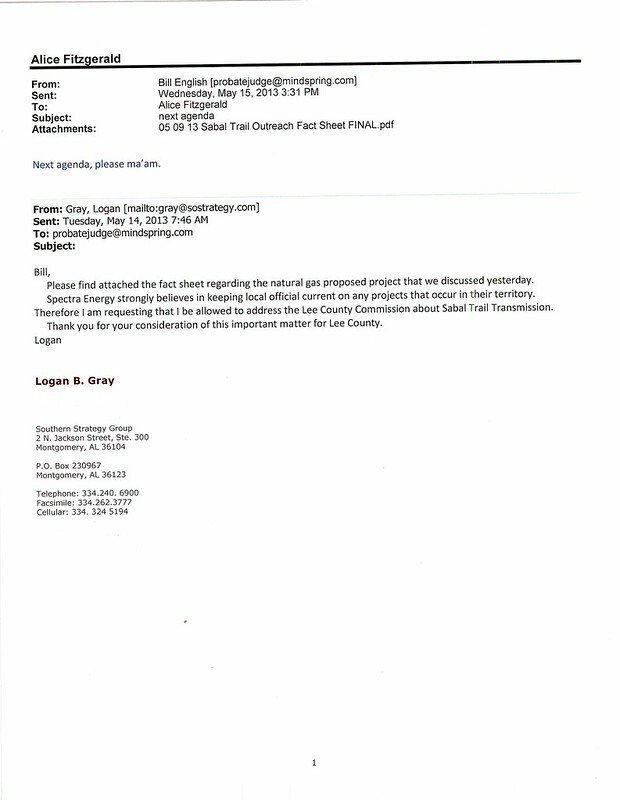 Way back in May, the Lee County, Alabama County Commission did what the Lowndes County, Georgia Commission is going to do December 9th (if they check their work this time): Lee County had Spectra come present about the proposed Sabal Trail pipeline. A different rep presented, but the contact names are familiar: Brian Fahrenthold and Andrea Grover. 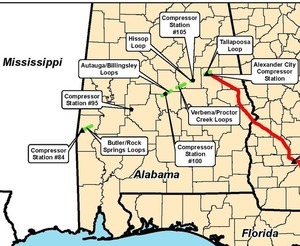 See also Lee County, Alabama, against the Spectra pipeline. And see Counties and Cities for contacts for every county along the proposed pipeline path. 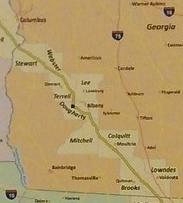 Valdosta, November 11, 2013— Find out Saturday morning about the huge pipeline proposed to run through our area. Who benefits (not Georgia citizens). What fines have been imposed on the pipeline company. What are the potential dangers of corrosion, leaks and more. Most importantly, find out what our community can do to stop this pipeline from being built.